This image shows an area in the northwestern part of the constellation Puppis, about 11° east of Sirius. 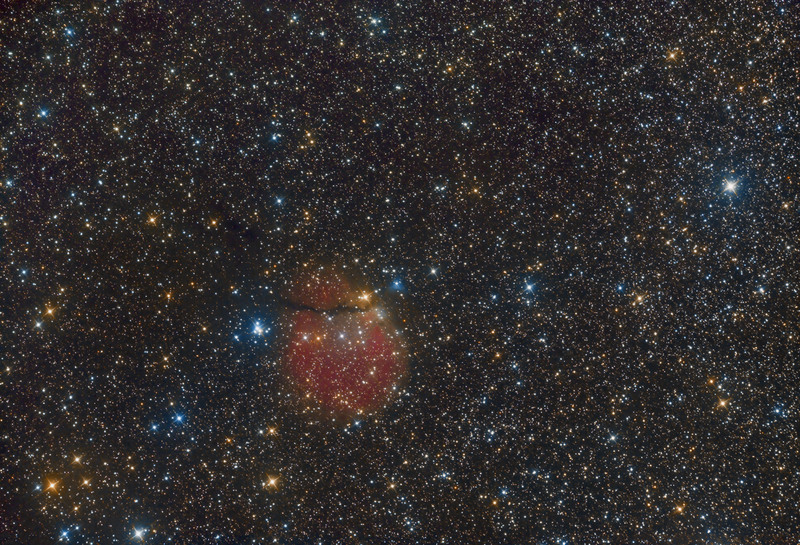 There are three principal objects on it (see the annotated mouseover): Sh2-302, VdB 97 and NGC 2409. Sh2-302 is an emission nebula and an H II region extended for about 11 parsecs (nearly 36 light years). It is crossed by a dark band on the southeast side and is part of a molecular nebulous complex located at the outer edge of the Orion Arm, at a distance of about 1800 parsecs (about 5900 light-years). This cloud contains in its interior a molecular bipolar jet coincident with the infrared source IRAS 07299-1651, probably generated by a very massive protostar originated by the impact between the ionized region and the surrounding molecular cloud. Other star-forming phenomena are witnessed by the presence of the small open cluster NGC 2409, which size is just 0.1 parsecs, formed by twenty stars and located a short distance from the IRAS source. 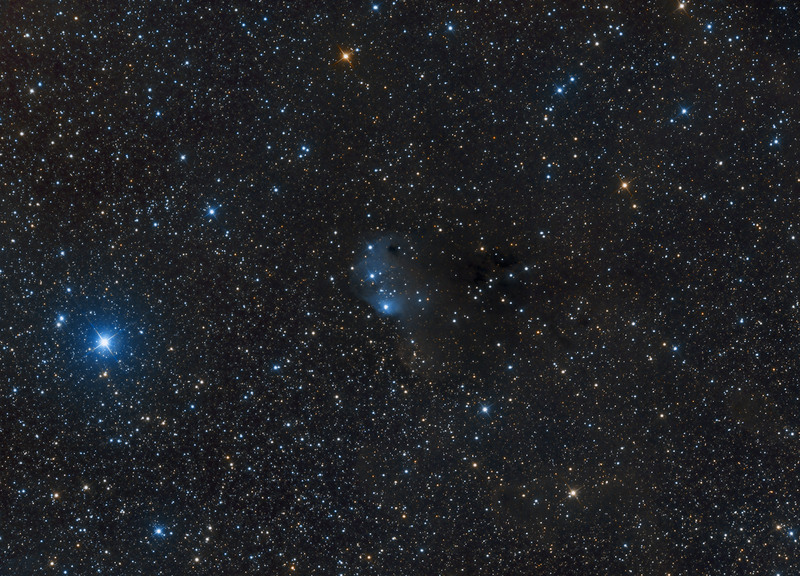 On the eastern edge of the nebula, a small part of the dust is illuminated by a star of the tenth magnitude, forming the reflection nebula cataloged as vdB 97.